It’s called Turbine Toucan, and it’s just another ho-hum aerobatic biplane, just like my Pitts. Except that it boasts something most modern jet fighters can’t even claim (no, I’m not referring to the paint scheme): a positive thrust-to-weight ratio. This thing weighs 2000 lbs and the turbine engine puts out 3300 lbs of thrust. That’s an amazing 1.65:1 ratio, enough to accelerate in a vertical climb. Indefinitely. Even fighter jets with positive thrust-to-weight ratios — of which there are few — can’t match Turbine Toucan’s performance in this department. The F-15 Eagle, for example, is about 1.12:1. Even the latest and greatest generation of jets like the F-22 Raptor (at 1.26:1) and F-35 (1.22:1 with 50% fuel) can’t compare. Among aerobatic aircraft with reciprocating powerplants, only the most pumped up Sukhois and Edges approach the performance of that magical 1:1 ratio. I ran the numbers on the Pitts S-2B and was surprised to find 0.95:1, because it sure doesn’t feel that sprightly on the uplines. Maybe I need to go on a diet? Eh. More likely it’s due to the high level of drag from the Pitts’ biplane design. That’s my story and I’m sticking with it. This isn’t the first time someone’s had the bright idea of putting a big turbine engine on a featherweight aerobatic airplane. Wayne Handley did it back in the late 90’s with his Oracle Turbo Raven. Equipped with a 750 hp Pratt & Whitney PT6A turboprop powerplant, that monoplane sported a 1.47:1 thrust-to-weight ratio. Still not up to the Turbine Toucan standard. Handley frequently demonstrated a vertical climb where he would stop in mid-air, hover, and then accelerate upward again. I never had the opportunity to see the Turbo Raven in person, but from what I’ve been told it left quite an impression. I think of it has a GA equivalent of vectored thrust. Handley would take off directly into a half Cuban, then perform a vertical half-roll and push over into a steep descent which ended with a landing in the exact same spot he’d departed from 60 seconds earlier. Sadly, the Raven was badly damaged in a 1999 accident (see video). 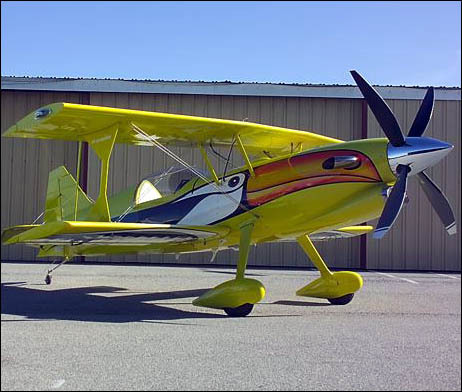 Wayne Handley was injured but has since recovered and still trains aerobatic pilots at his private airfield in central California. Being a biplane, I can’t help but wonder if the Turbine Toucan will beat the Turbo Raven’s time-to-climb records. Toucan has a higher thrust to weight ratio, but will certainly be hampered by higher drag. The Raven climbed to 3,000 meters (9,842 feet) in one minute and nine seconds seconds, a rate of 8,560 fpm. Initial testing of the Turbine Toucan yielded an 8,400 fpm climb rate at about 50% power, but that was based on a sea level climb to 4,500′ MSL. 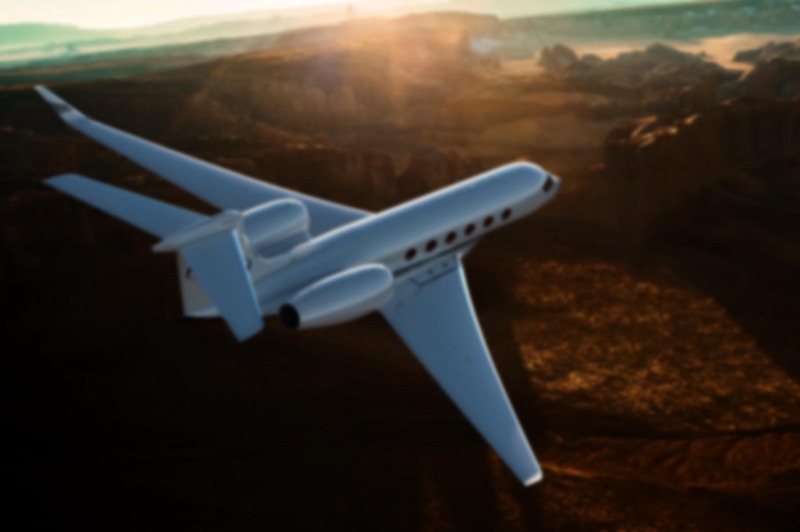 Even with a turbine engine, as the airplane climbs, thrust will decrease. Drag will decrease as well in the thinner air, so I think it’ll be close. I saw Wayne Handley perform in the Turbo Raven at Oshkosh in ’98. It was quite the amazing machine. Even crazier than accelerating upwards was it’s ability to go straight down without accelerating much – that thing would just ROAR when he put it into Beta in the air. Not too many turbine engines you can do that with…musta been a hell of a strong prop. What a stupid statement. Most props generate less thurst in beta, negating the need for a “strong prop”. Some people just have to say something I guess. Nice comment jackhole, any prop that can take that much power is a strong prop. Some people just have to be internet badasses FIVE years after the original comment. And what is “Thurst”. I mean I know an engine like that “thirsts” fuel to make “thrust” but you would probably have a pissy comment about that too, you are a complete douchebag Eric.